With the Ka-Her-Ka season upon me I thought about how corn mummies are essential both in temple and layman practice. Given that I’d share how to make a corn mummy mold as corn mummies. Corn mummies are miniature statuettes made from a combination of sand, wheat, and barley, with soil added to the mix depending on the region. These mummies were shaped like Wesir and bandaged with linens and finally given a mask and atef crown made of wax. The sources I found call for the molds to be made out of silver or gold (or both), but there are molds also found made of clay. I am not awesome enough as a goldsmith nor can afford the tools necessary, and I suspect I’m not alone so clay is the media I chose. If you can get gold-colored oven bake clay I recommend it as it skips painting it. Plus my paint job is rather embarrassing given I didn’t realize how little gold paint I had. 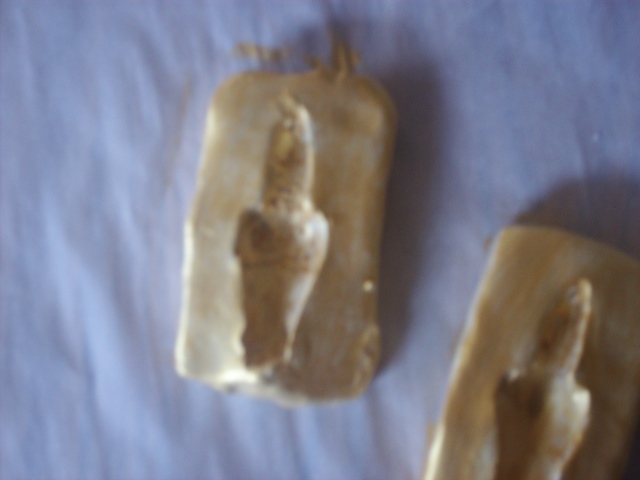 I’m not making the molds to scale with the corn mummies found in excavations. If you wish to make them to scale the mummies were roughly 17 1/2 inches long, 5 1/4 inches wide, and 5 1/2 inches deep. 1. Knead the clay until it’s soft and workable. 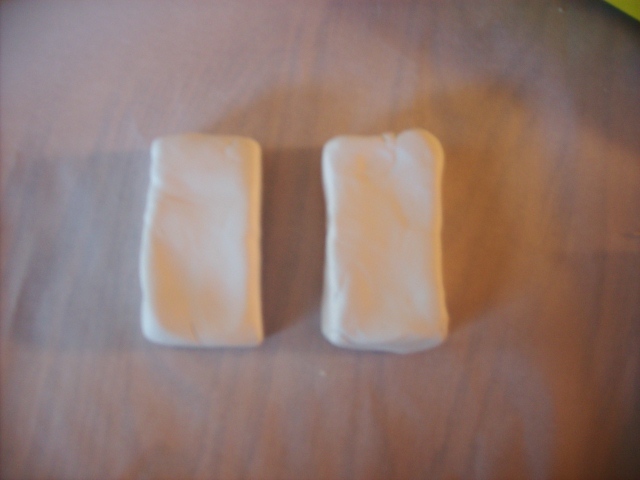 Form two block from the clay. 2. Slightly flatten the blocks. Try to keep the blocks identical dimensions so when used they halves will match up. 3. Draw an image of the outline of Wesir onto the cardstock. Cut it out. 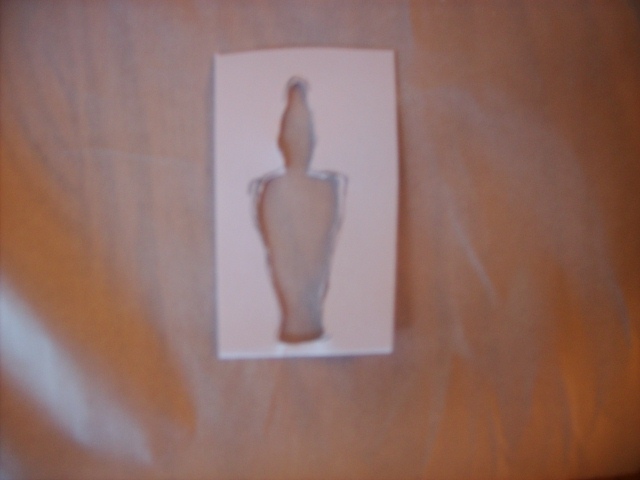 This will serve as a stencil for the molds so they will match up later. 4. 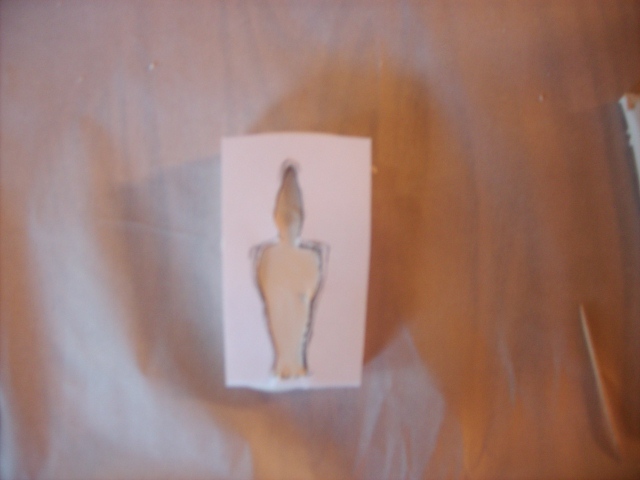 Place the stencil on the clay and trace with a toothpick. Scoop out some of the clay. 5. 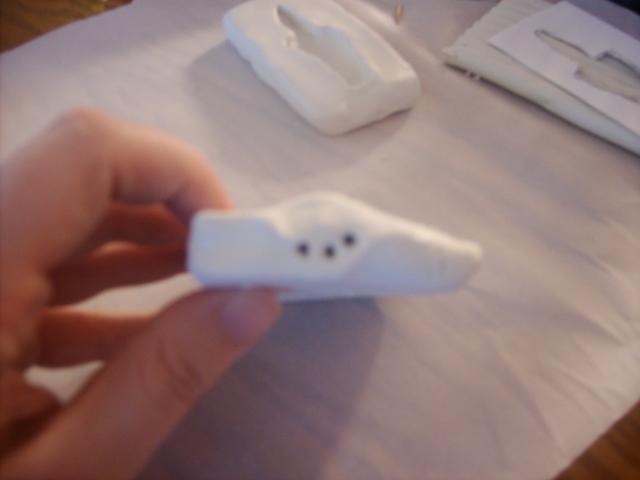 Poke holes in the sides leading into the mold. It won’t drain very well, but given the mold is there to shape germinating seeds it seems to be a non issue. 6. Bake in the oven as per the instructions. Let cool, then paint. 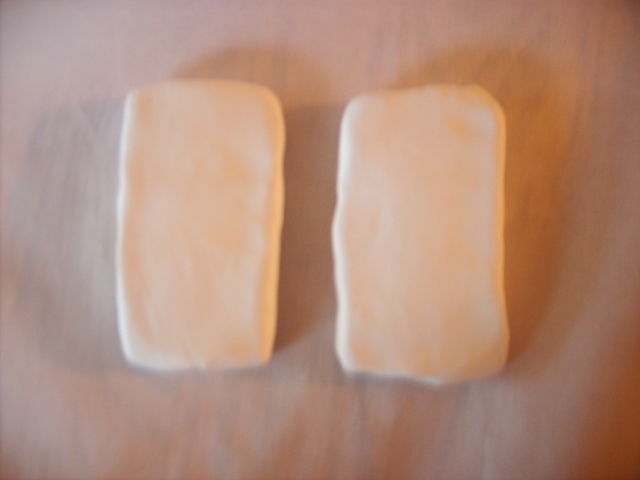 When using it remember to line the mold with linen fabric, as this was what was done when making corn mummies. In Dendera the molds were also covered in reeds when in use. 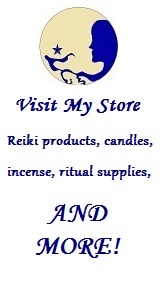 Categories: Craft Friday | Tags: corn mummies, Craft Friday, holiday, Ka-Her-Ka, Kemetic, Khoiak, NeoPagan, osiris, wesir | Permalink.